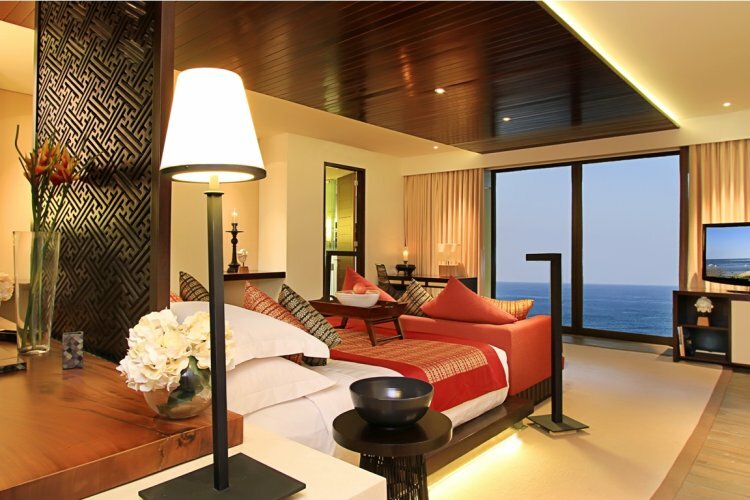 Samabe Bali Suites & Villas is located in a stunning cliff top location in Nusa Dua. 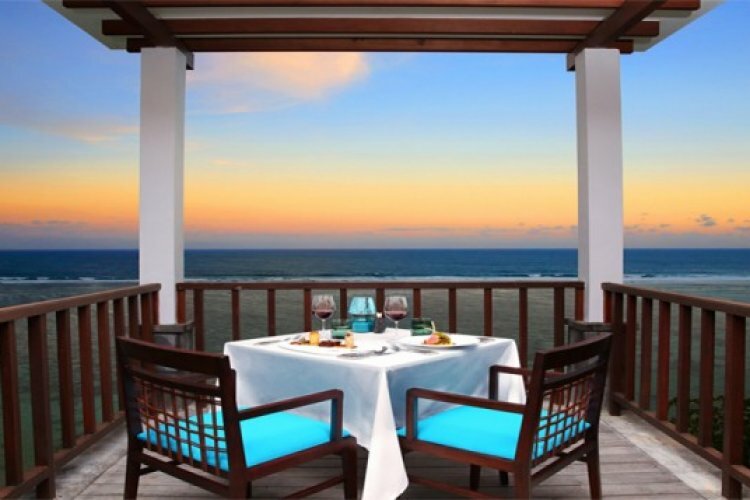 Surrounded by natural beauty, Samabe offers amazing views overlooking the turquoise Indian Ocean. 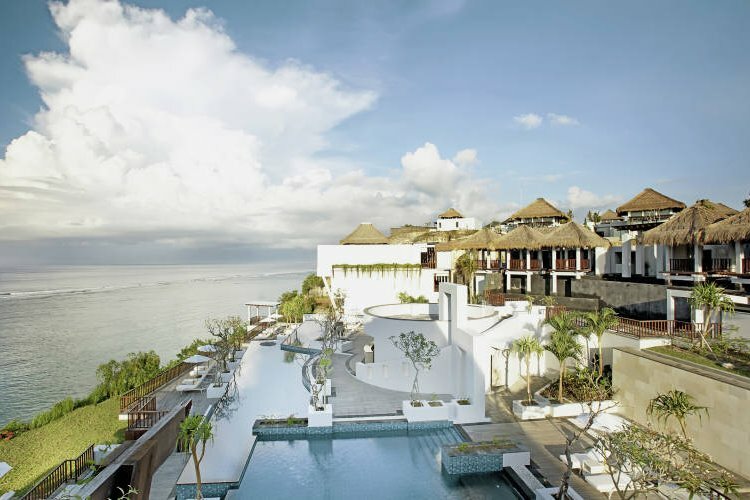 Samabe Bali Suites & Villas is a romantic and peaceful resort, ideal for honeymoons and couples. 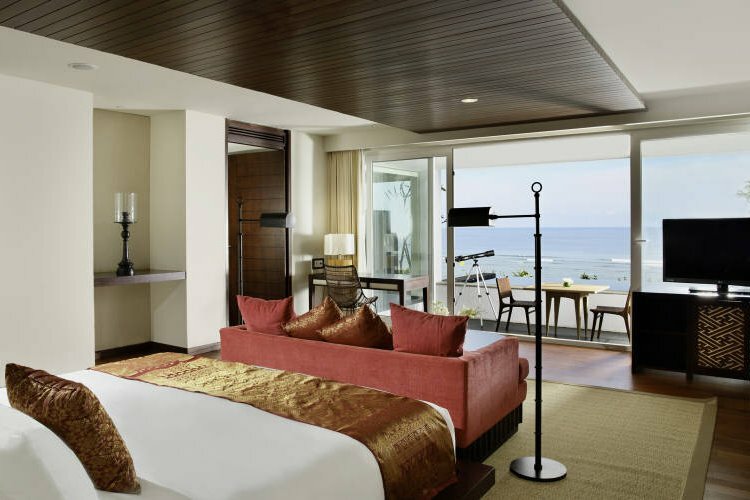 Guests can enjoy the private beach at Nusa Dua and the tropical rainforest enclosing them. There are 81 suites and villas to choose from, from Honeymoon Suites which all have a private balcony boasting spectacular views and Family Suites with private pools. There are 3 types of villas to choose from: The Garden Pool, Ocean Pool and Penthouse Villa. Each of these villas has a spacious living room, terrace and private pool. Enjoy the Balinese touches throughout the resort from thatched roofs to details in the architecture. With the 'Signature Activities', guests can choose a number of activities including a village safari tour, Balinese cooking classes and more. There is a gym on site with 24 hour access and Samabe also offers a range of water sports such as scuba diving, kayaking, catamaran sailing and surfing. There is a butler service to help you organise everything you could possibly want. For a day of pampering and indulgence, there is Galangal Spa which has various massages and treatments to soothe the body and mind. There are 2 restaurants and 2 bars which serve a delectable choice of cuisines including Balinese, Asian, Mediterranean and European menus. Guests can enjoy anything from buffet, casual to a la carte and fine dining as it suits them. There is also the option to have in-villa or in-suite dining, ideal for guests' convenience.